Yvon Chouinard founder of the Patagonia brand is a not only a highly successful businessman. He is a fly fisherman, kayaker, climber and environmentalist. Yvon many triumphs include the founding of the 1% for the planet movement, the purchasing of wilderness in South America to be turned into national parks and the campaign to remove damaging hydropower dams from American rivers. 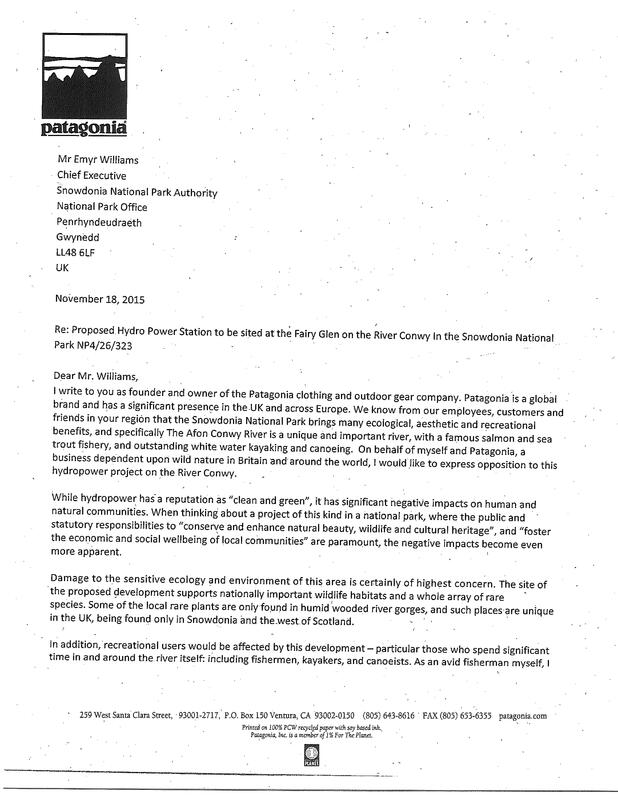 Patagonia has supported Save the Conwy with advice, funding and increased exposure. 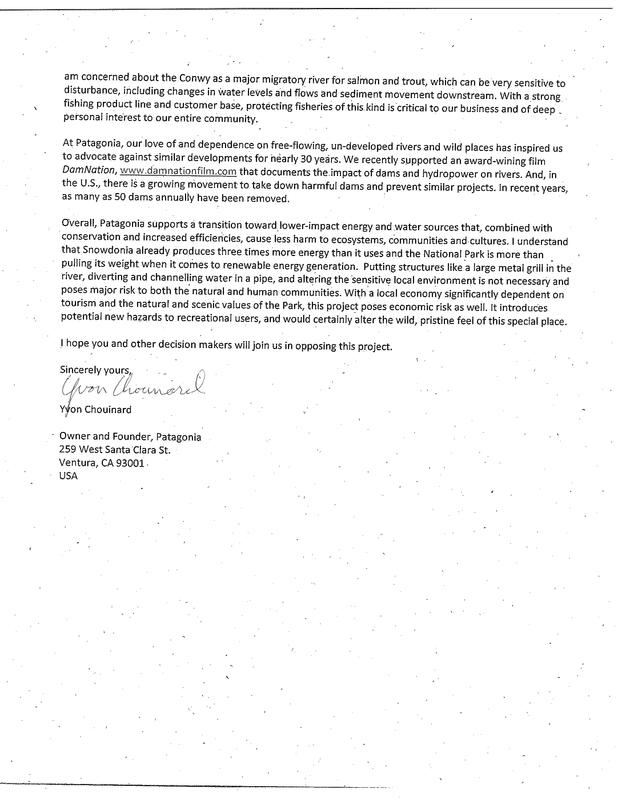 Yvon Chouinards personal objection letter to the Snowdonia National Park is below.